Genesis Dahna: Megami Tanjou (JPN) in 13:00.89 by maTO. Dahna: Megami Tanjou (Dahna: Goddess' Birth) is a 1991 platform action game developed by and published by IGS for the Mega Drive exclusively in Japan and South Korea. 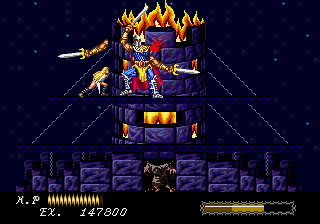 Player controls the title character who struggles against the powers of an evil sorceress raiding her village. The story is told through cut scenes and Dahna was helped along the way by various mythical beasts.